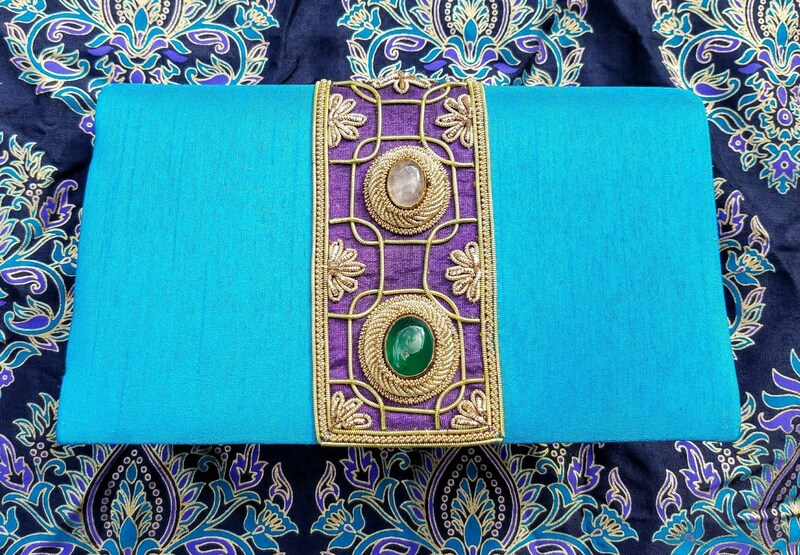 This exceptional embroidered turquoise blue silk purse is from the historic city of Agra, home of the Taj Mahal. 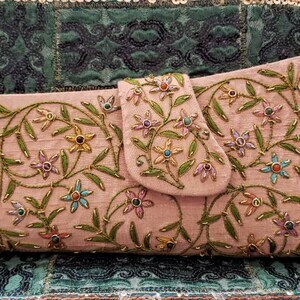 Classy and elegant zardozi embroidery! Work of art! 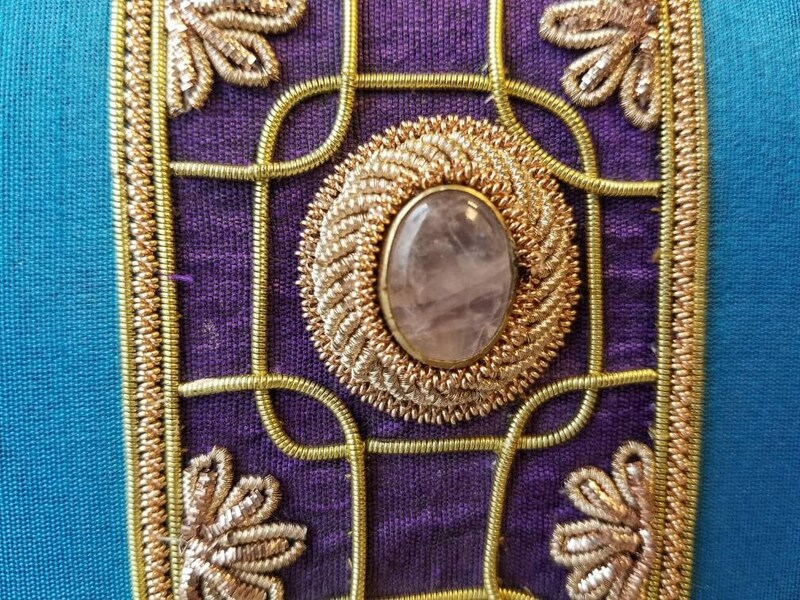 Genuine semiprecious stones on a central royal purple embroidered strip with precise and detailed golden zardozi embroidery. 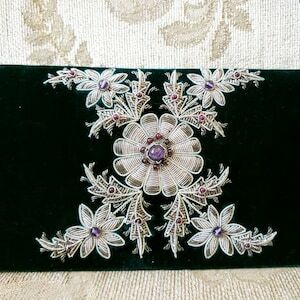 Can be worn TWO ways - the back is as finished as the front - and the stones on the front are different from the stones on the back. 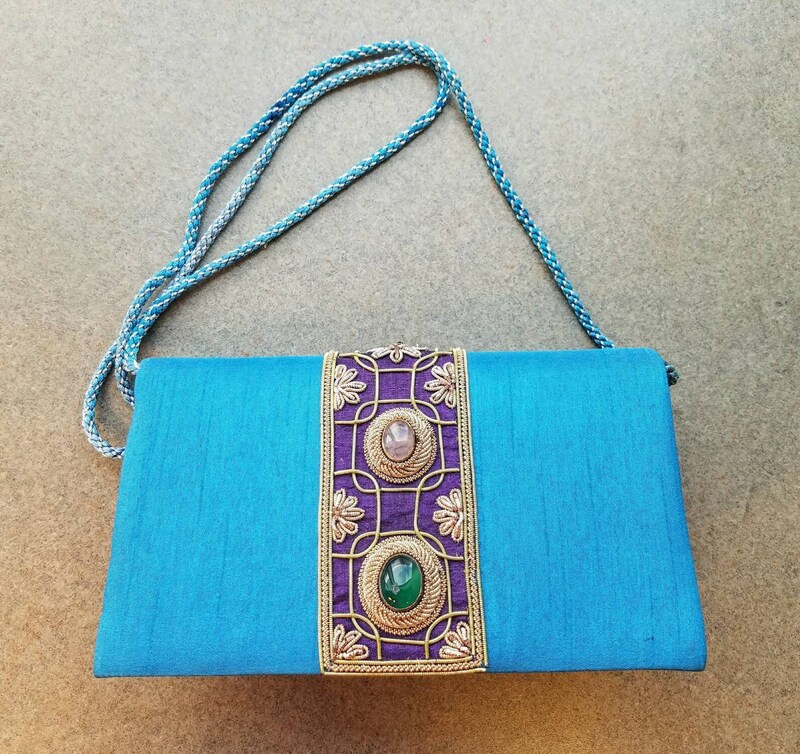 Worn with black, navy or purple, this clutch is a scene- stealer! - 8 inches by 5 inches tall by 2.5 in. - interior card slot and also a 5.5 in by 2.5 in accordion pocket outlined with a thin golden line. 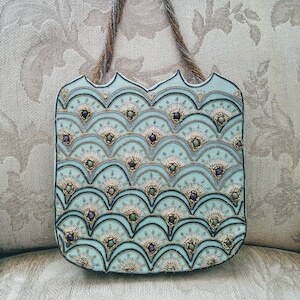 - optional corded shoulder strap in blue and silver twist, with 18 in drop. 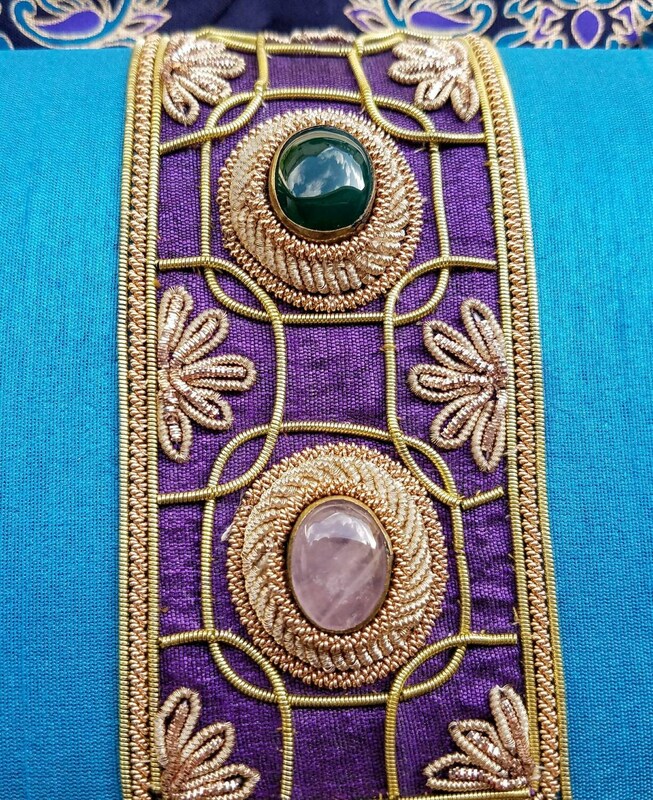 Note: the front lower green stone has a minor chip, as shown in the photo. 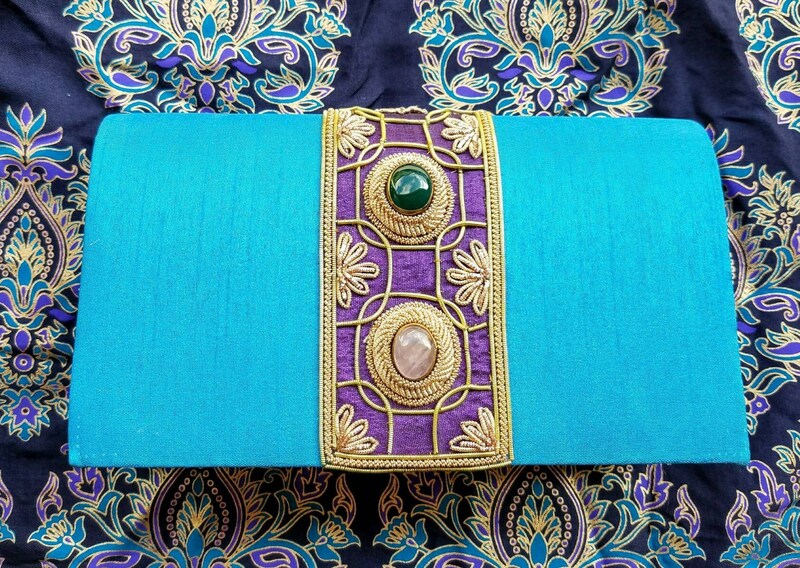 Clutch can be worn in reverse if you prefer.